Style, comfort, versatility and compactness are key factors to consider when packing shoes for your summer holiday and our Barbican ballerinas tick all the boxes! Each pair comes pre-folded in their matching travel purse, so they’re readily portable and so easy to pack. Plus they’re cushioned and comfy in all the right places. Footwear for the savvy traveller. 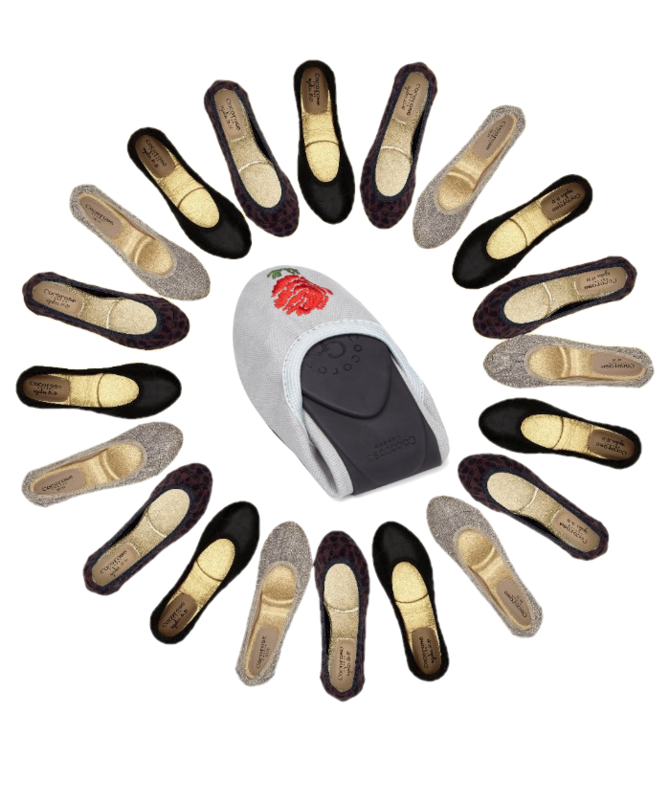 Mini in size, our Travel range of foldable shoes certainly pack a mighty punch! Considerately designed with style, comfort & function in mind, all our travel shoes are cleverly presented in their matching travel purses, making them true travel heroes!